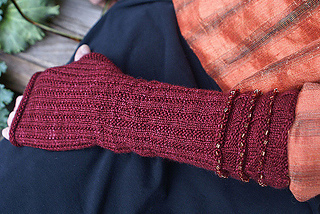 Rolling Thunder Gloves…The beaded cuff is too pretty to hide! Now you can jazz up your arms as well as your legs! 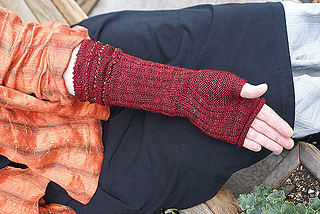 This new version of the Rolling Thunder Socks that appeared in the Winter 2006 issue of Knitty.com is sized for women’s medium or large hand, length variable. 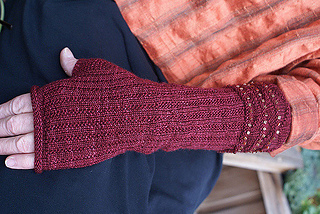 Bead requirements: 280 size 8/0 seed beads for a pair of gloves (140 beads per glove).